Former Member of Parliament Muzaffar Ahmed Hashmi of Jamat-e-Islami giving speech in Protest organised by Palestine Foundation Pakistan (PLFP). 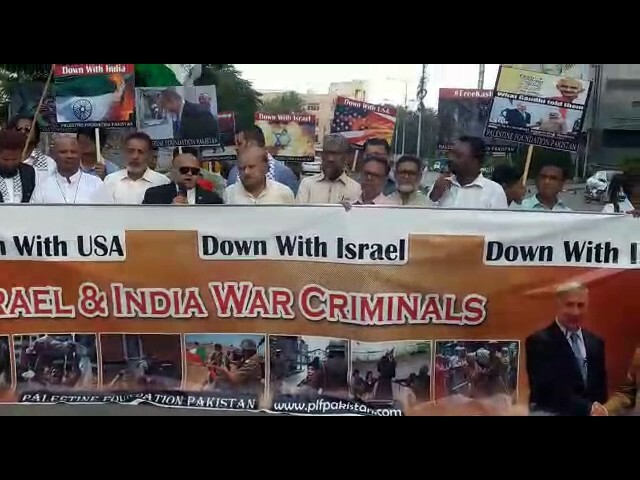 Protest demonstration held in Karachi - Pakistan to condemn the Indian-Israeli alliance and atrocities in Palestine and Kashmir by the Zionist regime Israel and terrorist state India. 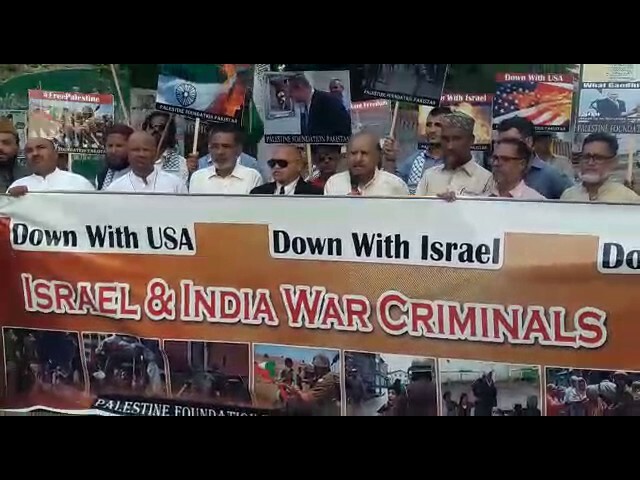 (Well known scholar and expert of international relations) Dr Talat Wizarat speech in Protest organised by Palestine Foundation Pakistan (PLFP). 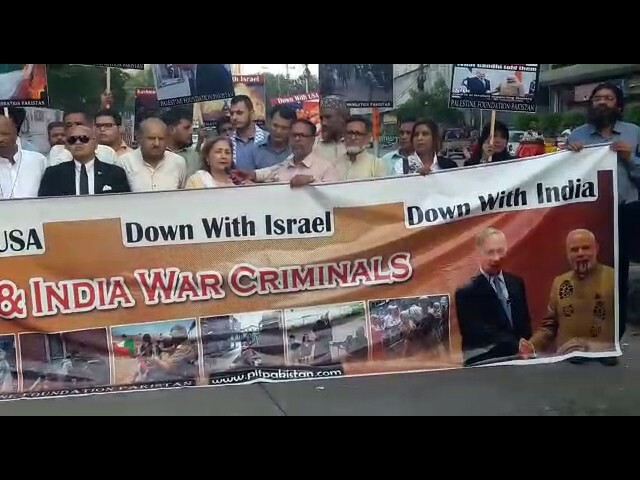 Anti India-Israel protest held in Karachi by Palestine Foundation Pakistan on Sunday. Many people and civil society attended the protest and chanting slogan in solidarity with oppressed people of Palestine and Kashmir and they condemn Indian-Israeli alliance and military cooperation against Pakistan and Kashmir too.